Get rid of smelly water! fail most often…rural well water! the worst iron & manganese, and severe odors from well water. Fights Iron! 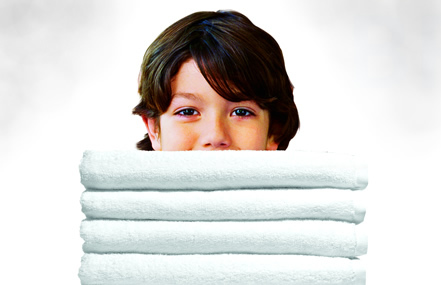 Removes iron and sulfur bacteria! Evolve Series® water treatment systems combine patented self-chlorinating technology with advanced electronics to perform like four units in one – softening, removing iron and manganese, and raising low ph levels. This self-sanitizing system also controls odors caused by nuisance bacteria and minor sulfur conditions. 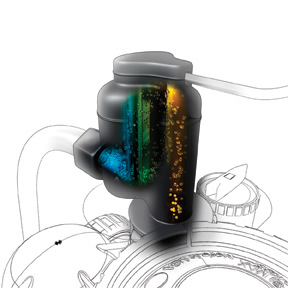 With so many features, this system is more than evolutionary … it’s revolutionary. 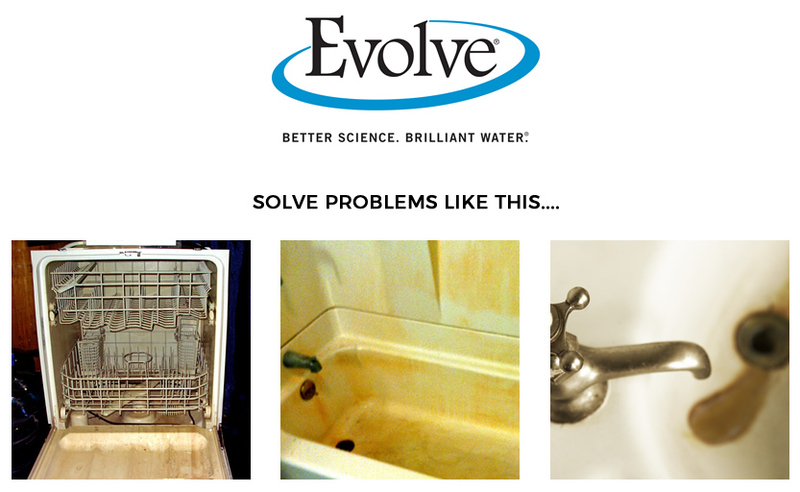 The Evolve uses a patented chlorine generator technology which produces chlorine to kill and remove unwanted iron and sulfur bacteria- the same nuisance bacteria that produces foul smells and the “slime coating” inside plumbing fixtures and toilet tanks. Used with our Evolve Conditioners for stubborn odor problems and high levels of Iron or Manganese reducing bacteria. 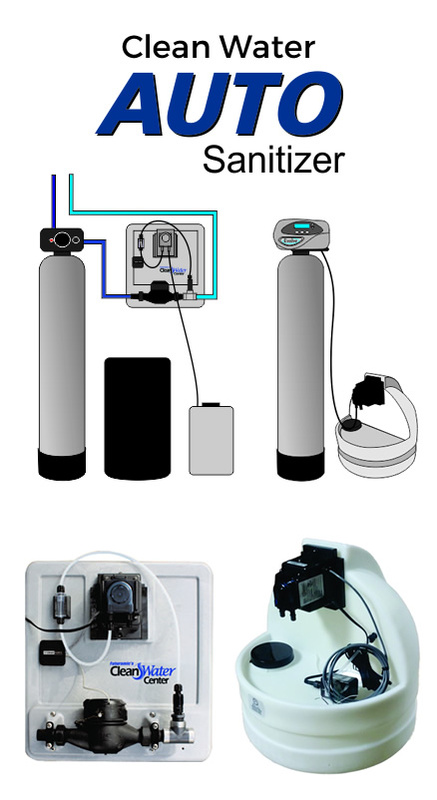 The Evolve Conditioners power our exclusive Auto Sanitizing system to sanitize and deodorize the household plumbing. The Auto Sanitizer uses Hydrogen Peroxide to kill and remove unwanted iron and sulfur bacteria throughout the plumbing system and in the hot water heater. With the Auto Sanitizer no harsh chemicals are left in the water. The hydrogen peroxide converts to oxygen and water after doing its work. We also offer a Universal Sanitizer that will work to remove unwanted odors present with existing treatment equipment. Universal model available, works with older treatment systems. At the heart of Evolve’s performance is the Crystal-Right® media, a crystalline media exclusive to Water-Right, Inc. In a single pass, this unique media does more to remove hardness, iron and manganese while raising low pH levels, than any other media available today. 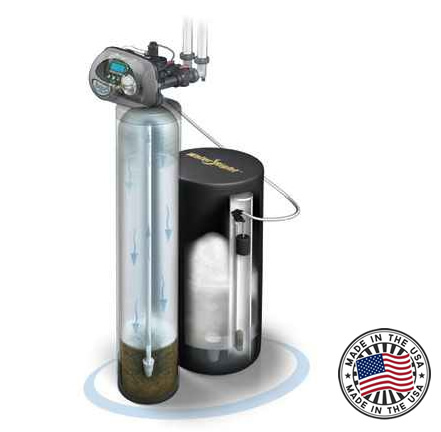 The turbulator replaces a standard riser tube in all our Impression Plus Series water softeners. A turbulator physically moves the resin from the bottom of the bed to the top, stirring up the resin to increase sediment removal and conditioner efficiency. Using a water-stream compression device, a turbulator propels resin beads at high speed to the top of the resin bed, then allows them to settle back to the bottom, completely turning the bed over 3 to 4 times a regeneration. Small sediment that may have accumulated in the bed (like dirt or iron) are scrubbed from the resin beads and washed to the drain. So the bed is constantly turned over and reclassified. The result? Resin beds stay cleaner and last longer! 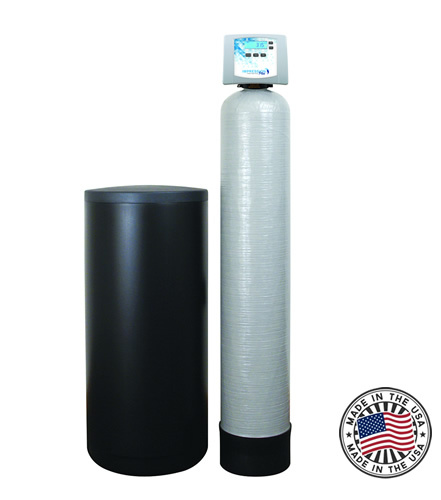 The Impression Plus Series water softeners bring household water to a new level of quality with the convenience of advanced controls and proven system performance. Microprocessor-based controls and LED displays simplify system programming and operation. The Impression Series does the rest.